My kids love to read. We’ve been out at the campground for the past month and the days have been busy! Bedtime is often pushed late because were having fun around the campfire. We still want to take the time to read to the kids so we often find ourselves searching for the shortest book possible. 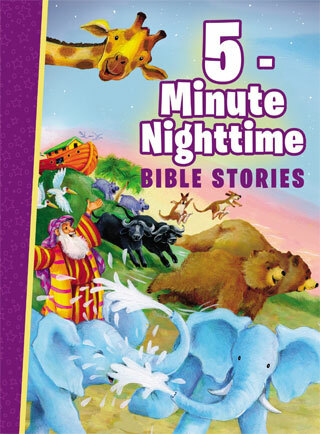 “5 – Minute Nighttime Bible Stories” is a collection of 26 Bible stories written with bedtime in mind. The book takes your child on a Bible adventure through the Old and New Testaments featuring their favourite Bible Stories. “5 – Minute Nighttime Bible Stories” is an excellent book to read before bed with your child. As the title suggests, each story can be read in 5 minutes. 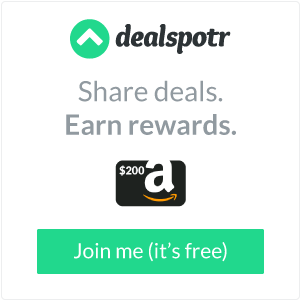 The stories are told in a simple fashion for young children to understand and when I hear the question, “Can we read just ONE more story, Mom?” I don’t mind flipping the page and reading the next one. My children loved the book from the moment they saw it. Noah’s ark is a favourite Bible Story and is featured on the cover. The book itself is large and a little heavy for small hands, but the beautiful large images make up that. The illustrations are beautiful, done in soft yet bright colours. The humour that is put into some of the images as an element of fun to even some of the more “scary” Bible stories. My children do find some Bible stories scary. Stories like David and Goliath and Jesus Calming the Sea, always give my children pause for thought. I usually avoid these stories at bedtime because talk of Giants is the thing to start nightmares in our house. In “5 – Minute Nighttime Bible Stories” these stories are told in a manner that don’t frighten my children. They keep true to the Bible story, but I believe the story telling and images help soften the story in a way that comforts my children. Each story also contains a question to ask your children. My kids love to talk about the stories that they read and these questions help guide the conversation. It’s always interesting to hear what my children are taking away from the story, often it’s so much more than I expect. The end of each story also has a short prayer. My children will often say they don’t know what to say when they are praying, I love how this helps them with a starting place for their prayers. Each story also contains a scripture reference so you and your child and find the story in the Bible if you want to study it further. It’s not necessary to read this book from the beginning to the end. My children and I choose our favourite stories to read and sometimes we just open the book and read whatever story we open to! Those last few moments before bed are a special time to spend with your child. I cherish the memories of the nights my Grandmother would play the piano until I fell asleep. You and your child will be able to share those precious last minutes of the day making memories together in God’s word. For more information on “5 – Minute Nighttime Bible Stories” visit the Thomas Nelson website. *Disclosure: I received a complimentary copy of “5 – Minute Nighttime Bible Stories” from BookLook Bloggers in exchange for my review. All opinions are 100% my own.